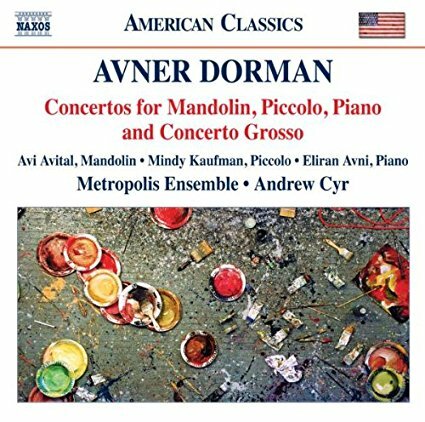 In a VC-exclusive blog, Israeli-born composer Avner Dorman talks us through his inspiration and process behind his newly-premiered work "For Solo Violin"
The Violin Channel recently caught up with the acclaimed Israeli-born composer, Avner Dorman. In a VC-exclusive blog, Avner talks us through his inspiration and process behind his newly-premiered unaccompanied 12 minute virtuoso violin work “For Solo Violin” – commissioned for this year’s 2017 ARD International Violin Competition. “When the ARD Competition approached me to write a piece for their 2017 violin competition, I was thrilled. 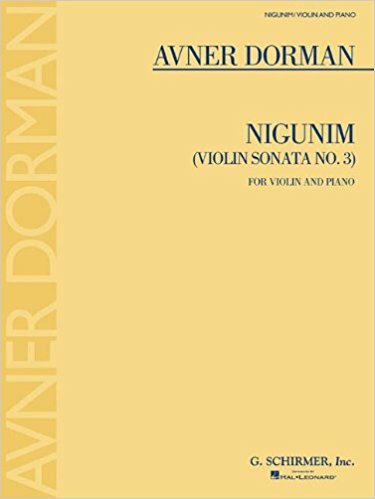 I had always wanted to write a work for unaccompanied solo violin, and the opportunity to compose this work presented a truly great artistic and compositional challenge. I began watching videos of many great performances of violinists as I could, not only performing unaccompanied works, but also great concertos and sonatas, as well as fiddlers and folk musicians. When I came upon a performance of Gidon Kremer playing the Bach Partita for Solo Violin in E Major (BWV 1006), his gusto and energy in performance essentially stopped me in my tracks. I immediately started writing the first movement, which actually begins with an inverted statement of the opening interval of the Bach partita. As the rest of the piece came together, the spirit of the Bach partita lingered in my mind, but each movement took a different form. The first movement is based on a twelve-tone row, but the row itself contains some references to Bach and to tonality in general. Titled ‘Feroce’, the energy is, in fact, fast, ferocious and extremely expressive. The second movement is a canon in two voices, where each part moves at its own speed and with an independent voice. The resulting sound is of two violinists, and the interlocking parts allude to pre-Renaissance music and isorhythmic motets from the medieval era. The third movement is in the physical style of a Paganini caprice, but without the tonality that Paganini’s music utilizes. Extended techniques and harmony push the instrument to new boundaries, technical and musical. Movement four is in the form of a Baroque chaconne, beginning with a single line, with a new voice added on each iteration. One of the competitors at the ARD competition noted that the expressive, augmented intervals in the motives recalled Jewish Israeli music, a thoughtful insight I actually didn’t think about while writing, but which is salient nonetheless. The rhythms of the last movement are derived from west African music; rather than the voices alternating between two hands of a drum, the parts alternate between open strings in one hand (D and A) and intervals (3rds and 6ths) in the other. As the movement develops, the intervals continue to build and ascend into the upper register, to a humorous ending — a plucked, D major chord. It was a pleasure to hear the piece performed by each soloist at the competition. The performers were all incredibly well-prepared and played with great musicianship. Each soloist brought their own interpretation of the piece, and while it is a challenging work, the violinists all met that challenge. Their fantastic performances served as an affirmation that the work is a substantial suite that conveys a variety of emotions, all while serving as a standalone concert piece. I look forward to hearing these fantastic soloists perform for Solo Violin again in the future, and to other violinists performing this work as well!